Newspaper circulation and readership in Brazil have traditionally been low if compared to the rates in most developed countries: 61 daily newspapers per 1,000 people in 2002. However, the fifth most populous country in the world—170 million people in 2000—boasts a very lively and energetic press, which in the 1990s played an important part in exposing problems such as political corruption, homelessness, and environmental degradation, and thus spurring significant changes in the structure of Brazilian political and economic institutions. Relatively low literacy rates (85 percent) and high production and distribution costs have been consistently blamed for small newspaper circulation in Brazil. An estimated 465 newspapers circulated daily in Brazil, more than in Germany, Mexico or Russia. Although there are no national newspapers in the country, the largest circulation dailies attract audiences that extend beyond their regional geographic markets. Brazil has no large newspaper chains, and most publications are still family-owned. Several of those family-owned companies, however, are in fact regional or local media conglomerates that also own television and radio stations within their metropolitan or state markets. A handful of those corporations also own and operate publishing houses, news agencies, as well as cable and satellite television companies. When it comes to press freedom, Brazil has had a somewhat spotty historical record. Until 1808, Portuguese colonizers prohibited printing presses in the country. As a result, a strong newspaper tradition was not established in Brazil until the mid to late 1800s. From 1889 on, with the creation of the Brazilian Republic, the country's political system has alternated between authoritarian and democratic phases. Consequently, freedom of the press has been restricted and in some cases completely abolished for significant periods in Brazilian history. Brazil occupies half of South America's landmass. The country is the fifth largest in the world, after Russia, Canada, China, and the United States, although its geographic area is larger than the 48 continental U.S. states. Brazil shares a border with every South American country, except for Ecuador and Chile. The Amazon rainforest, which occupies at least half of Brazil's landmass, is probably the country's most prominent and well-known geographic feature. The country also has wetlands, savannas, subtropical forests, mountains, and semi-arid areas. Those geographic characteristics were very important in the establishment of Brazil as a country and in the development of the Brazilian media system. Until the mid-1970s, most of the country's population was concentrated in the southern and southeastern areas of Brazil, as well as along the northeastern Atlantic coast. Consequently, newspaper circulation (as well as magazine readership and even television watching) until the 1970s used to be concentrated in these populated urban areas. three largest Brazilian cities, São Paulo, Rio de Janeiro, and Belo Horizonte, are located in this region. The four top circulation newspapers in the country— Folha de São Paulo (560,000), O Globo (350,000), O Dia (250,000), and O Estado de São Paulo (242,000)— are also located in the Southeast region, Folha and Estado in São Paulo and Globo and Dia in Rio. Although it displays less impressive numbers, in terms of quality of life, socioeconomic indicators, and distribution of wealth, the South might be considered the most prosperous Brazilian region. With a heavily mechanized agriculture and most of the country's cattle, the Center-West, which has recently achieved economic importance, occupies one-fourth of the country's area, but has less than one-twelfth of its population. Brazil is an essentially urban country. According to the official census data, the percentage of the population living in urban areas sprung from 36 percent in 1940 to 76 in 1991. That number rose again to 81 percent in 2002. The census also indicated that more than 85 million Brazilians lived in cities of 100,000 or more in the early 1990s. In terms of ethnic and cultural characteristics, the Northern region is mostly populated by the descendants of native Indian groups. Known as caboclos , men and women of this sparsely populated Brazilian region (where most of the Amazon forest is located) live along the banks of the many rivers and creeks that constitute the Amazon river basin. Most of those caboclos rely on subsistence crops, fishing, and hunting as their main economic activity. Many of them still preserve much of the physical and cultural traits that characterized their native Brazilian ancestors. In the Northern region, the influence of Portuguese and other European immigrant groups can best be felt in larger cities, such as Belém and Manaus. Newspaper readership in the northern region is also concentrated in those two cities, as well as in a few other smaller urban areas. In the Northeast, the sertanejo is the equivalent of the Northern caboclo . Sertanejo is the term usually employed to describe peasants and small farmers that populate the arid and poor inland areas of that region. The Northeastern coast received the largest numbers of African slaves brought from across the Atlantic. Today's sertanejos are the result of centuries of racial integration between African and local native groups. The African influence is still heavily felt in the region's largest cities, especially Salvador and Recife. Most cities and state capitals located in this area have their own daily newspapers, but readership tends to be low. In terms of ethnic diversity, the Southeast and Center-West regions are the best examples of the "melting pot" of cultures and traditions described in earlier paragraphs. There is no one dominant ethnic group in those regions of the country, where the African, European and native Brazilian presences can be equally measured. However, heavy European and Asian immigrations have radically altered the ethnic make-up of the five Brazilian regions in the twentieth century. The most important "recent" ethnic groups are Germans, Japanese, and Italians. Their immigration to Brazil started in the late 1800s and early 1900s, and continued throughout the first half of the century. The Japanese population, concentrated in the states of São Paulo (Southeast), Paraná (South), and Pará (North), has grown to 1.2 million over the decades. German immigrants concentrated in the three Southern states, where many rural areas are still referred to as "little Germany," while a very large number of Italian immigrants concentrated in São Paulo and also in the South. Brazil's history as a nation goes back to the year 1500, when Portuguese navegadores (sailors) set foot on what is now the state of Bahia. Before the Portuguese, several different native populations occupied Brazil. Despite wildly divergent estimates, most historians believe the country was heavily populated along its lush 4,600 mile-long shoreline, and only sparsely occupied inland. Years before they discovered Brazil, the Portuguese had already claimed the eastern half of South America, when they signed the Treaty of Tordesillas with Spain in 1494. The colonization of Brazil, which started 30 years after discovery, was justified by economic, political and religious reasons. Portugal needed not only the abundant raw materials (wood, sugar cane, spices) free for the taking in the new colony, but it also took upon itself the duty of converting to Christianity the native population it encountered in the new land. Portuguese colonization was very important in determining the future of the Brazilian press system. Literacy and education were highly discouraged by the Portuguese rulers. Universities, book publishing and newspaper printing were not seen in Brazil until 1808, when the Portuguese royal family had to settle in Rio de Janeiro to escape the Napoleonic Wars in Europe. Portugal granted Brazil independence in 1822, but unlike what happened in former American colonies such as the United States or Mexico, Brazilian ruling classes opted for a monarchic regime that lasted until 1889. During the so-called First and Second Empires (1822-1889), limited access to education, low literacy rates and widespread poverty prevented newspapers from reaching a mass audience. Newspapers were often associated with political parties and specific interest groups, such as the freemasons. Despite their limited reach, and because of their influential role in forming public opinion among the educated elite, newspapers and journalists were often in the center of the political action. The situation was not very different throughout the Velha República (Old Republic), which lasted from 1889 to 1930. Newspapers and prominent editorial writers influenced decisions made by the Brazilian ruling classes— landowners, merchants, and political and military figures—but never attained the kind of mass circulation reached by the Penny Press in the United States at the same time period. Political disenfranchisement of the masses and general dissatisfaction with economic policies led to the collapse of the Old Republic and the establishment of the Vargas Era (named after President Getulio Vargas) in 1930. Vargas ruled Brazil from 1930 to 1945, and then again from 1951 to 1954, alternating as dictator (1930-1934), congressionally elected president (1934-1937), dictator again (1937-1945), and finally popularly elected president (1951-1954). Throughout this time, Vargas had a very turbulent relationship with the press. The government created an official propaganda department; press freedom was suppressed for extended periods of time; journalists and writers were persecuted and jailed; newspapers were routinely censored. It was not until the end of World War II in 1945 that Brazil started to enjoy a period of democracy and economic growth. From 1945 to 1964, civil liberties and press freedom were finally restored, as a new Constitution was drafted and approved by Congress. The country was industrialized, a new capital (Brasilia) was built, and a strong middle class emerged. Universities were created or expanded in every Brazilian state, and literacy and newspaper readership increased. The democratic period ended in April 1964 with the military coup d'état that removed President Goulart. The military regime that ruled Brazil from 1964 to 1985 was particularly fierce in its limitation of press freedom. From 1968 to the mid-1970s, for example, a presidential executive order (called AI-5, short for Ato Institucional n. 5) severely restricted civil liberties in the country, and established de facto media censorship. During the two decades of military rule, several daily newspapers refused to abide by the government's limitations, but these publications had to pay a high cost for serving as the country's moral and social conscience. In the late-1960s and early-1970s, it was not uncommon for newspapers to be censored on a daily basis. Individual journalists also suffered government persecution, and, in the case of at least one prominent journalist, paid with their own lives. Brazilian mass media, especially newspapers and magazines, were instrumental in pressing for and overseeing the transition from military to democratic rule in the late-1970s, a process known as abertura politica. The restoration of democracy, civil liberties and the rule of law also immensely affected the press in the 1980s. In the 1990s, newspapers and journalists played a very important role in denouncing social and economic problems such as poverty, homelessness and political corruption. In the early 1990s, newspapers and newsmagazines were the first institutions in the country to investigate allegations of corruption and abuse of power against then President Fernando Collor. The subsequent media frenzy, which has been dubbed by some as the "Brazilian Watergate," eventually led to the impeachment of Collor by Congress in 1992. Throughout the 1990s and into the twenty-first century, the Brazilian press has continued to take very seriously its role as government watchdog. According to an international media survey conducted in 1997, newspaper circulation and readership were up in Brazil, and, more importantly, newspapers ranked number one in terms of public credibility, ahead of government, congress and other institutions. As opposed to what happened in the Spanish and English colonies in the Americas, where printing presses were used since the 16th and 17th centuries, Brazil did not know printing until the early nineteenth century. According to historians, some basic differences in the Portuguese, Spanish and English colonization schemes account for that delay. While the Spanish colonizers had to fight to replace advanced indigenous civilizations (the Incas and the Aztecs) with their own culture, counting on colonial universities and printing presses to better prepare their local elite, the Portuguese found in Brazil indigenous groups only loosely organized and sparsely located along the country's Atlantic coast, which did not pose a threat to their colonizing efforts. Moreover, the Portuguese royalty saw books, even in the metropolis, with extreme distrust. Until the late 1700s, any material published in Portugal had to be examined by three different kinds of censors-the local Church authorities, the Inquisitors sent in by the Holy See, and the censors working for the King. As a result, printing was a very restricted activity in Portugal, and most books were religious in nature. Throughout colonial times, books were illegally brought to Brazil by military and intellectual figures that visited or studied in Europe. Some of those illegal books were actually used as incriminating evidence against clandestine groups that fought for Brazil's independence from Portugal. Among the forbidden publications were the French and American Constitutions. The first printing press that entered Brazil legally came with the Portuguese royal family, in 1808. One of the first official acts of the recently transplanted Portuguese rulers was to establish the Royal Press in Rio de Janeiro. From the offices of the Royal Press was printed the first Brazilian newspaper, the Gazeta do Rio de Janeiro, on September 10th, 1808. The Gazeta was first a weekly, and then a daily newspaper. The newspaper served merely as the official mouthpiece for the royal family, publishing news from Europe and official government acts. One of the first influential Brazilian newspapers, the Correio Brasiliense , was published not in Rio, but in London. Its founder, Hipólito da Costa, justified his choice of printing his paper abroad by reminding local critics of the fierce Portuguese censorship, and of the risks that would threaten editors who dared to criticize the King. Although the Correio 's first issue was published on June 1st, 1808, three months before the Gazeta first appeared, the latter is still considered by most historians the first Brazilian newspaper, since the former was published abroad. Neither the Gazeta nor the Correio were informative, news-filled periodicals. While the Gazeta was an official newspaper, the Correio was a partisan one, very much interested in educating Brazilian readers about themes such as abolitionism and political emancipation. Although it was published in London, the Correio was a very influential newspaper, read by the political, intellectual and commercial elite both in Brazil and Portugal. Other newspapers that started in Brazil at the time, such as the Idade de Ouro do Brasil , which was published in Salvador, Bahia, and first appeared in May 1811, presented themselves as informative and impartial, but in reality were very much attuned with the national and local ruling classes. Most of these "official" periodicals lasted only until 1822, when Brazil became independent from Portugal. The Brazilian independence is explained by most historians as a long economic and political process in which the Brazilian commercial upper classes saw the Portuguese royalty as an obstacle to their goal of exporting and trading freely with any country they wanted, besides Portugal. The Portuguese King and ruling classes wanted Brazil to trade exclusively with the metropolis, and this economic dispute over trade monopoly eventually culminated with the rupture between the two countries. Historians believe that an emerging rebel or insurgent Brazilian press played an important part in convincing and uniting the local economic and political elite around the independence ideals. Newspapers promoting the independence and rupture with Portugal flourished in Brazil in 1821 and 1822. Even before 1822, local newspapers appeared in cities such as Salvador and Belém, sponsoring radical and even revolutionary ideas. After the independence, printing presses and newspapers multiplied in several Brazilian states, from Pará, in the north, to Rio Grande do Sul, in the south. Reading, writing and printing books and newspapers were seen not only as desirable but as necessary and even patriotic activities. During the so-called First and Second Empires (1822-1889), the Brazilian press experienced an unprecedented boom. It was during this phase that the tradition of a strong partisan press was established in Brazil. Newspapers multiplied in every major Brazilian city. In 1827, an imperial decree abolished censorship of the press. The tradition of a lively and engaged press, patronized by political groups as well as the general population, was thus born. In the state of Minas Gerais alone, about a dozen daily newspapers appeared between 1823 and 1833. Brazilian newspapers of the period were both informative and partisan. It was not uncommon to find newspapers articles openly and strongly criticizing the imperial government, as well as local authorities and rival political groups. This period of political emancipation and economic development in Brazil cemented the public's trust in the press, as well as the habit of reading several daily newspapers. It was not uncommon for the general population in cities such as Rio de Janeiro, São Paulo and Ouro Preto to subscribe to competing dailies. During that time, besides Portuguese-language newspapers, French and English dailies, such as the Courrier du Brésil and The Rio Herald , also circulated in Rio de Janeiro. Those newspapers circulated mainly among the English and French nationals with commercial and financial interests in Brazil, but they also influenced local politics. French immigrants played an especially relevant role in developing not only newspapers, but also printing and typography in general in Rio de Janeiro. In the 1830s and 1840s, as the country went through a phase of political upheaval as separatist and republican movements spread throughout the provinces, to the well-established daily newspapers were added the pasquins , openly partisan newspapers and pamphlets, many of them without regular periodicity. Those pasquins were extremely popular and influential, appearing (and disappearing) during times of intense political disputes. Historians attribute the emergence and popularity of the pasquins to the increasing literacy rates and the need many Brazilians felt to be better informed during a period of intense political battles. From the 1850s on, daily newspapers and pasquins played an important role in two crucial national issues in Brazil: the end of African slavery and the end of the monarchy. Throughout the 1850s, abolitionist and republican newspapers multiplied in Brazil, not only in cities such as Rio de Janeiro and Ouro Preto, but also in the less-developed provinces, such as Pernambuco and Bahia. It was at this time that the political cartoons and political satires, very influential journalistic features of the Brazilian press, also appeared. Besides their heavy interest in local and national politics, the Brazilian newspapers of the time also gave a space to the arts, especially literature. In a country where book publishing is still an extremely expensive activity, newspapers specialized in publishing short stories, essays and even serialized novels written by some of the most important Brazilian writers of the time. Following a tradition prevalent in countries such as England and France, where the serialized novels of Charles Dickens and Victor Hugo first appeared on the pages on local newspapers, Brazilian dailies enlisted intellectuals such as José de Alencar and Machado de Assis, two of the most important writers of the nineteenth century, to publish new stories and novels on their pages. Actually, most writers of any renown at the time either started at or wrote exclusively for newspapers, as daily reporters and editors. It was also during the 1850s and 1860s and some of the most important daily newspapers were first published. Diário do Rio de Janeiro , Jornal do Comércio and Correio Mercantil , all of them influential daily newspapers in Brazil, appeared in the 1860s. The daily O Globo was also revitalized, under new ownership, at that time. The end of slavery, in 1888, and the end of the monarchy, in 1889, started a new phase for Brazilian newspapers. Readers and subscribers favored newspapers that sponsored republican ideals. In 1891, the influential Jornal do Brasil was first published. Many well-known journalists were called to be part of the first republican government. At the end of the nineteenth century and beginning of the twentieth, the Brazilian press made an effort to modernize its production. Larger newspapers, such as Jornal do Brasil , already had photography departments, and most dailies published cartoons and drawings. The period also signals a shift in management and ownership models, and most newspapers grow from small, individually-owned enterprises to larger, family-owned corporations. At that time, most large dailies owned and operated their own industrial printing complexes. The beginning of the twentieth century also saw one of the first efforts to consolidate and professionalize the press-many small newspapers folded or were absorbed by larger dailies. Most cities still maintained the tradition of competing daily newspapers, which prevails to this day in Brazil, but most smaller papers and pasquins had to give way to market pressures. The tradition of a partisan press and the heavy involvement of newspapers and journalists in the political life persisted throughout the first half of the twentieth century. The trend towards consolidation and modernization also persisted. As Brazil moved from an agricultural, rural society to an industrial, urban one, newspapers tried to follow the lead. As urban newspapers modernized their production departments, old printing presses were being sold to smaller, rural newspapers. By the end of World War II, every state capital and major Brazilian city had at least one daily newspaper. It was not uncommon for cities with 100,000 people or more to have two or three rival dailies. Newspapers were often still affiliated with political groups or local powerful families. As competition increased, the need for professionalization of the news business and modernization of printing also grew. In the 1950s, most Brazilian newspapers were already following the news model introduced by their North-American counterparts, with the use of the lead and the inverted pyramid; as well as independently-verified and gathered information; the use of an "objective" narrative style; and the reliance on independent news sources. Paradoxically, the 1964 military coup, discussed in more detail on a separate section, also contributed to turn Brazilian newspapers into more modern and politically independent enterprises. After political parties were extinct and the multi-party system substituted by a bipartisan, quasi-official political system, newspapers focused on the "straightforward" news of the day and on more efficient business practices. It was also in the 1970s that most journalism and mass communication courses started, and a new law demanded an accredited university degree for the credentialing of new journalists by the Labor Department. By the 1970s, most, if not all Brazilian newspapers were independent from political organizations, and used off-set printing techniques. By the early 1980s, some newspapers were already introducing computers in the newsrooms and production departments, and many were experimenting with color printing. Market pressures and successive economic crises led many Brazilian newspapers to fold in the 1980s and 1990s. Some markets have consolidated into one major daily newspaper, but in the beginning of the twenty-first century, most Brazilian cities still have two or three competing dailies. A city such as São Paulo, for example, has three major dailies, Folha de São Paulo (circ. 560,000), O Estado de São Paulo (circ. 242,000), and Gazeta Mercantil , and still has enough space for popular newspapers, tabloids, and niche-filling publications. The same is true for Rio de Janeiro, with O Globo (circ. 350,000), O Dia (circ. 250,000), and Jornal do Brasil being the most important and influential regional newspapers, and still having smaller tabloids and specialized dailies. Besides full-color printing and digital and satellite production, most Brazilian newspapers have simultaneous Internet versions. In many cases, those electronic versions are updated throughout the day, and have as many or more readers than the traditional paper versions. Up to the 1930s, Brazil's economy relied heavily on the production and export of primary goods (especially timber, spices, gold and precious gems, and coffee). During colonial times, Portugal strongly enforced economic policies that reduced the country to a mere exporter of raw materials. Local industry was virtually non-existent, and land ownership and commercial trade were the only means to economic prosperity. Heavy industrialization started in the 1930s and accelerated through the 1940s and 1950s, culminating with the creation of a national steel and automotive industry in the mid-1950s. The industrial self-sufficiency policy implemented by the government in the 1950s created strong working and middle classes; increased living standards, education and literacy; substituted imported manufactured products for national ones; and established the basis for a strong, diversified economy that persists into this century. Media analysts have observed that throughout twentieth century Brazil, real media power was wielded not by newspapers, but by radio and television. That is true, to a large extent, because of the fact that both radio and television benefited not only from the same economic growth that affected newspapers, but also from the added benefits of economic policies that expanded Brazil's telecommunications infrastructure. Ironically, newspaper circulation and readership in Brazil have increased even during desperate economic situations, such as the hyperinflation crisis of the late 1980s. Analysts believe that happened because the Brazilian press has been particularly effective at covering economic and financial news, keeping readers abreast of all the latest economic policies and measures implemented by the government. An interesting characteristic of the Brazilian press system is that a law enacted by the military in the mid-1960s prevents foreign ownership of Brazilian media companies. The law, which at the time forced U.S. media giant Time-Life to sell its interests in the then-emergent broadcasting company TV Globo, has made sure that only Brazilian companies and Brazilian nationals control mass media firms. However, in April 2002, legislation working its way through the Brazilian Congress was proposing to open the domestic media market to foreign investors. The bill, already approved in the Chamber of Deputies, was waiting for ratification by the Senate and then by the President to go into effect. Even before the new law was approved, many international media conglomerates, such as Time-Warner and Pearson (which publishes the Financial Times), were already announcing in April 2002 their intention to vie for a slice of the Brazilian media market. Brazil represents the largest Latin American market for both investors and advertisers. 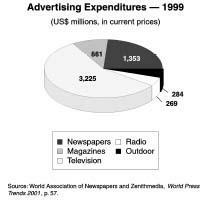 In 1995, advertising expenditures in Brazil amounted to US$ 6.5 billion, compared to US$ 3.1 billion for Mexico and US$ 2.6 billion for Argentina, respectively the second and third largest markets. But while in Mexico newspapers accounted only for 12 percent of advertising expenditures (US$ 366 million), in Brazil newspaper advertising expenditures represented almost 28 percent of the total (US$ 1.8 billion). "It shall be free the expression of thought and opinions and the search, reception and transmission of information and ideas, by any means, and without censorship, and everyone shall be responsible, in the terms of the law, for the abuses he or she might commit." "It shall be free the publication and circulation, within the whole national territory, of books, newspapers and other periodicals, unless these are clandestine or offend the standards of public decency." The exceptions built into both articles of the law were used by the military regime to justify censorship between 1968 and the mid-1970s, without having to actually revoke the then newly created code. The 1967 Press Code's third article prohibits media ownership by foreign companies or foreign nationals. The subsequent article goes even further, stating that only Brazilian-born citizens might be responsible for managing, editing and producing news shows, including news stories, debates, opinion and commentary. The code prohibits journalists from using aliases and writing anonymous pieces, but guarantees the media's right to maintain anonymity of sources. The second part of the code prescribes the penalties (citations, fines, and sentences) for violating each article of the law. A new Telecommunications Code ( Lei Geral das Telecomunicaçães ) was enacted in 1997 to guarantee universal access to telecommunications to all Brazilian citizens. The new code also created a national telecommunications agency ( Agéncia Nacional de Telecomunicaçães ), now responsible for granting telecommunications licenses. In Brazil, as in the United States, the government rules the air-waves, but the private sector owns them. The Ministry of Communications, which still controls the granting of broadcast licenses, as well as Embratel, were created by the military government in 1967 to foster both technological development and political control over broadcasting. If in the 1960s and 1970s the process of government supervised licensing was used chiefly as a means of political control and censorship, in the 1980s and 1990s the distribution of new broadcasting licenses was used by Brazilian governments for bargaining power, and as a means of increasing political support. Broadcasting licenses are granted by the federal government and subject to Congressional approval. The exchange of broadcasting licenses for political support was taken to extremes by former President José Sarney, himself a media mogul in his native state of Maranhão. 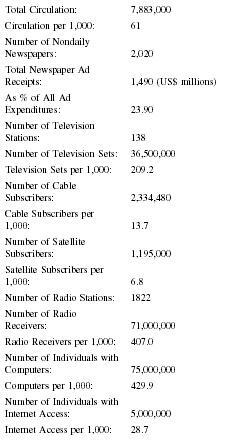 From 1987 to 1990 alone, the federal government distributed 850 new radio and television licenses. A federal law prior to the military regime established the Brazilian Code of Telecommunications, in 1962. The law created the Conselho Nacional de Telecomunicaçães (National Council for Telecommunications; Contel), an agency that also works as a regulatory body, supervising the granting of licenses, authorizations and permits, and also the agency that applies penalties. Analysts have noticed that the military regime had a tremendous impact on broadcasting policies in Brazil. That influence was translated both into the already mentioned technological changes, and into the establishment of direct censorship. After the coup d'état of 1964, censorship was not only openly exerted, but also unofficially authorized by the new Press Code, enacted in 1967. When the military government stepped down and Brazil went back to civilian rule, in 1985, a democratic process engendered a new Constitution, adopted in 1988. Under the new Constitution, censorship of the media is not only condemned but also expressly prohibited. According to the new Telecommunications Code of 1997, most of the duties and responsibilities of the old Conselho Nacional de Telecomunicaçães were transferred to the newly created Agéncia Nacional de Telecomunicaçães (Anatel). Censorship affected the Brazilian press throughout the country's history, from imperial times (nineteenth century) to the Old Republic (1889-1930), and then again during the Estado Novo (1937-1945) portion of the Vargas regime. De facto censorship was reinstated during the military regime (1964-1985), particularly during the implementation of the AI-5 (1968-mid-1970s). During the Estado Novo, Vargas created a federal propaganda department, which was in charge of disseminating government supported news and information; building alliances with local and regional media owners; and silencing opposition voices, both through economic and political censorship. The Vargas regime was also responsible for persecuting writers and journalists who disagreed with the government, enforcing censorship and repression of even well known Brazilian literary figures, such as Jorge Amado and Graciliano Ramos. Censorship was also enforced during the military regime. Opposition voices were persecuted, silenced, and driven underground. Several newspapers were outright closed down, and the ones that survived were quick to learn how to adapt to the realities of the new regime. Ironically, the Brazilian Press Code was enacted in 1967, during the military dictatorship. That law guaranteed freedom of the press, but it also contained built-in mechanisms to allow for persecution of dissenting voices, if those were considered subversive or threatening to national security. A presidential executive order promulgated in December 1968 (AI-5) suppressed civil liberties, including direct elections for most executive and legislative positions, individual rights, and press freedom, and established a de facto police state in Brazil. Censorship of the mass media was openly enforced by the military between 1968 and the early 1970s. Major newspapers at the time, such as Jornal do Brasil and O Estado de São Paulo even had their own censors in the newsroom. Those federal government employees were responsible for reading major stories ahead of time, before they went to press, and recommending the appropriate changes, if necessary. Several times, important news stories were yanked from page one, and newspapers tried to alert readers by replacing them with cooking recipes, or even by printing blank columns. Media censorship was eliminated once the democratic rule was reestablished in 1985. However, one of the first controversies faced by the newly elected civilian ruler, President José Sarney, was caused by his decision to prohibit a French movie he deemed offensive to the Catholic Church. In the 1990s, the Brazilian press stepped up its role as government watchdog. Since then, newspapers have been at the forefront of the struggle against political and economic abuse of power. Newspaper and newsmagazine circulation and readership increased partly due to the press' efficiency in investigating and publishing stories that expose social ills such as poverty and corruption. Historically, that has not necessarily been the case. The relationship between government and the press in Brazil was very strained during the 1930s, and then again during the military regime. Journalists and writers were often censored, jailed, and in some cases, killed, for pursuing stories that exposed corruption or political repression. During the late 1930s, President Getulio Vargas used the media, particularly radio, to gain public support for his regime. During the late 1940s and 1950s, a very polarized press alternated support and criticism of the newly democratic government. In the 1950s, most newspapers in Brazil were still affiliated with political parties, openly supporting and campaigning for candidates, or, on the other hand, publishing editorials and articles criticizing political opponents. During the military regime, the new rulers fiercely silenced the opposition, and newspapers learned to conform and adapt to the new political reality. In the 1960s, as the traditional political parties were outlawed, the old tradition of a strong partisan press also died out. Throughout the military dictatorship, newspapers, for the most part, tried to maintain their independence, but in many occasions had to tone down criticism and go along with government policies they would not have otherwise endorsed. On a very few occasions during the military regime did newspapers openly disagree or criticize the government. One of those occasions was caused by the death of journalist Wladimir Herzog, who worked at TV Cultura de São Paulo, a state-owned educational channel. Herzog's death during questioning at a local police station in 1975 represented a major turning point not only for the relationship between the military and the press, but also for the return of democratic rule in Brazil. Two Brazilian press institutions played a very significant role in the transition to democratic rule in the 1970s—the Brazilian Press Association (Associação Brasileira de Imprensa—ABI) and the National Federation of Journalists (Federação Nacional dos Jornalistas— FENAJ). The former congregates not only journalists, but also editors, publishers and newspaper owners, while the latter is the most important professional organization for journalists in the country. Most of the mass media in Brazil are privately owned and there are no government subsidies for media companies, except for educational radio and TV-usually one public broadcasting company in each state owns and operates educational television and radio stations. The 1997 Telecommunications Code created a federal agency that oversees the license-granting process to telecommunications companies in the country. All major foreign media, including newspapers, magazines, news agencies, and broadcasting companies, have offices and correspondents in Brazil. Those offices are usually either in Rio de Janeiro or São Paulo, with several of the correspondents in the national capital, Brasilia. International journalists have their own organization in the country, the Association of Foreign Correspondents in Brazil (Associação dos Correspondentes de Imprensa Estrangeira no Brasil-ACIE). Until 2002, foreign ownership of media companies was not allowed in Brazil. In April 2002, new legislation was approved by the Chamber of Deputies to allow foreign nationals and companies to own interests in Brazilian media organizations. Foreign mass media, especially entertainment and news television channels, are very popular in Brazil, and accessible through cable or pay TV subscription services. Foreign newspapers and magazines are available in all major Brazilian cities, at newsstands or bookstores. Some Brazilian analysts and scholars worry about the negative impact of foreign and national mass media in Brazil. They worry that much of what was considered the "authentic," traditional Brazilian culture is being lost because of the widespread penetration of television. Small towns in Brazil still gather around communal television sets to share the electronic ritual of watching television. Some remote villages in the Amazon jungle do not even have electricity. On the other side of the spectrum, urban areas enjoy communication technologies comparable to those in use at the world's most industrialized regions. Recent studies that examined the impact of mass media on traditional communities of the Brazilian Amazon observed that many of the authentic, traditional cultural and social activities were being transformed as a consequence of television's pervasiveness. Remote rural villages seemed to be ready and eager to incorporate cultural and social norms that have been long associated with Brazilian urban areas. The same studies showed, for example, that the networks' strict schedules were changing local residents' concept of time, which was moving from a more fluid, qualitative state to a more strict, quantitative one. Television was also thought to have a negative influence on the continuity of local cultural traditions, such as traditional religious practices and ceremonies; as well as on some long held economic practices, such as subsistence fishing. However, mass media was also seen as contributing to social and political participation, by elevating the educational level of local residents, and by keeping them informed of major national, regional and state political and economic developments. Brazil has several national news agencies, maintained by the major newspapers in the country, and operating under subscription agreements with affiliated news organizations throughout the country. The most important of those are Agéncia Folha, Agéncia Globo, Panorama Brasil, and Agéncia Estado. There is also a government-owned news agency, called Agéncia Brasil, and other regional news services. Agéncia Estado, sponsored by the newspaper O Estado de São Paulo , bills itself as the largest news agency in Brazil. It has hundreds of subscribers throughout the country, and sends out an average of 230 news items per day, plus photos. Besides using traditional wire technology, Agéncia Estado delivers news to clients through satellite links and the Internet. Agéncia O Globo is sponsored by the newspaper O Globo , from Rio de Janeiro, and is associated with the TV Globo corporation. It was created in 1974, and distributes approximately 120 news items per day. Agéncia Folha was created and is maintained by Folha de São Paulo , the largest daily newspaper in Brazil. It employs approximately 500 journalists, and has offices and correspondents spread throughout the country. All major international news agencies, such as Reuters, Associated Press, and Agence France-Press, have offices in Brazil. The Associated Press, for example, has offices in Rio de Janeiro, São Paulo and Brasilia. Other news agencies that have offices in Brazil include EFE (Spain), ANSA (Italy), Deutsche Presse-Agentur (Ger-many), Kyodo Tsushin (Japan), and Xinhua (China). Broadcasting airwaves are public in Brazil, and a federal government agency grants licenses to media companies operating radio and television stations. There are five large privately owned national television networks-TV Globo, SBT, TV Record, TV Bandeirantes, and TV Manchete, as well as hundreds of local and regional television stations (256 stations in 1992) operating under an affiliation system similar to the United States'. Broadcast TV has an immense influence on virtually all aspects of Brazilian culture and society. Television programming is often a topic of conversation at school and in the workplace, in the house and among friends. Television is an extremely important source of information for Brazilians of every socio-economic stratum. Brazilians across the board refer to reports they have seen on Jornal Nacional-TV Globo's most watched evening newscast, or to the latest plot twist in one of the soap operas. The introduction of cable, satellite and pay TV is a relatively recent (1990s) phenomenon, but these sectors' growth has been astounding. In 1993, only 0.8 percent of Brazilian households had pay TV, in contrast to 28 percent of homes in Argentina. A year later, the number had jumped to 2.3 percent, or 700,000 subscribers. In early 1996, Brazilian homes with cable TV neared 1.5 million. 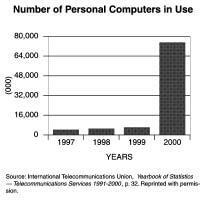 That number had doubled by March of 1998. Radio ownership in Brazil follows a format similar to that of television. However, radio networks are a phenomenon of the twenty-first century. Until the turn of the century, most radio stations were still family owned. In April 1996, there were 1,822 radio stations in Brazil, and radio was still the most pervasive mass media in the country (88 percent of households). The growth of television viewership in Brazil is a unique and impressive phenomenon yet to be completely explored. TV sets numbered only 200 in the entire country on September 18, 1950, when commercial broadcasting started in São Paulo. By the end of 1980, only 30 years later, there were estimated 20 million TV sets in the country. By that time, Brazil alone had more TV sets than the rest of Latin America combined. Television households increased from 7 percent in 1964 to 51 percent in 1979, and then again to 75 percent in 1990, easily reaching more than 80 percent by the end of the century. More recent data estimated a total of 36.5 million TV sets in Brazil, and 209 TV sets per 1,000 people in 2002. Television broadcasts now reach all of Brazil. The growth of viewership in Brazil both was stimulated and reflected the huge industrialization process that took place in the country from the 1940s on. In 1954, the development of an autonomous national industry was made possible by the creation of the National Steel Company and its peripheral heavy equipment manufacturers. Brazil is today the world's eighth largest economy. Although strangled by the largest foreign debt in the world, the country's economy presents signs of vitality, with a strong currency, inflation under control, and a record trade surplus. The middle class represents one third of the country's population of 170 million, making up the second largest market for TV and consumerism in the Western hemisphere. Brazilian media organizations were clearly aware of the country's economic potential. They took full advantage of the "expansion and integration" process that led the military dictatorship to create the Empresa Brasileira de Telecomunicaçães (Brazilian Telecommunications Enterprise, or Embratel), in 1967, and to launch a development plan that, by 1986, had virtually every Brazilian covered under a satellite blanket. The first Brazilian network, called TV Tupi, was established in São Paulo in 1950 by Diários e Emissoras Associados, a media conglomerate headed by journalist Assis Chateaubriand. A second TV Tupi station was launched in Rio de Janeiro on January 20, 1951. Diários e Emissoras Associados owned more than 30 daily newspapers, 18 TV stations and 30 radio stations. The conglomerate also had its own news agency, advertising agency, and some public relations firms. It published several magazines, including the influential O Cruzeiro , which was until 1967 the largest selling magazine in Latin America. Television in Brazil was established following a trial and error pattern similar to the one experienced by American networks. Programming was adapted from other media, particularly radio and film. During the first years of Brazilian TV, there was little to no experimenting, television was a second-hand medium, absorbing formats which had their origins in radio, newsprint media, film, and theater. TV Tupi's broadcast included news, comedy and "filmed theater," or "teleplays." Throughout the first half of the 1950s, television was a very elitist medium. Only a small percentage of the population (namely, wealthy families in Rio de Janeiro and São Paulo) had television sets. Consequently, programming was directed to that segment of the population. The situation changed in 1955, when television lost its "novelty for the wealthy" appeal and became a household item. Around that time, it became common, for example, to present newlyweds with television sets. Aware of the new trend, TV Tupi's broadcast became more sensationalist. During most of the 1950s, TV Tupi's leadership remained unchallenged. That situation changed in the 1960s, when three competing networks—TV Excelsior, TV Record, and TV Globo—were launched. TV Record, which chose to produce well-structured journalism and music programs, had a particularly great impact on the market. TV Excelsior was born in 1964, already in the age of soap operas, and excelled in this genre and in musicals. TV Globo came to challenge the leader, also aiming its programming at the lower economic strata. Competition among four different TV networks, combined with economic expansion, stimulated television's growth. In 1950, viewership was limited to large cities, such as São Paulo and Rio de Janeiro, due mostly to the cost of TV sets. But if sets were only 200 in 1950, in 1965 they were already 3 million, spread throughout the country. Unlike other Latin American and European countries, where either monopolistic and/or government-owned broadcasting traditions were established, Brazil consolidated in the 1960s a major trend towards commercial television and multiple, privately-owned national networks, a format that had the American television system as its model and inspiration. It was also in the 1960s that Brazilian television created its own specific style, best translated in the telenovela or simply novela (soap opera) genre. Interestingly enough, Colgate-Palmolive's line of cosmetics had been one of the major advertisers in 1940s Brazilian radio, when soap operas first became popular in the country. One of the reasons why Brazilian telenovelas were created by the networks was to provide a product in which advertisements could be placed. For ten years, Brazilian TV had struggled to find the right formats for its potential advertisers. Most shows were short in duration (15 minutes, on average), because of the conditions in which they were produced and broadcast—virtually every program aired was a live presentation. Even the early soap operas followed that format. Advertisers were reluctant to invest in a medium that failed to grip the audience's attention in a habit-forming fashion. Throughout the 1960s, networks decided to resuscitate some of radio's most popular soap operas. Although soap operas had been a common staple of Brazilian broadcasting since the early 1950s, the Cuban drama Direito de Nascer (A Right to be Born), a radio favorite of the 1940s, is believed to have originated the telenovela audience phenomenon in Brazilian television. First aired on December 7, 1964, the soap opera experienced an overwhelming success which continued to its final daily installment, broadcast live from an over-crowded sports arena in Rio, in August of the following year. TV Tupi dominated Brazilian television during the 1950s and 1960s, but in the 1970s and 1980s, TV Globo became the largest television network in the country. TV Globo, also known as Rede Globo (Globo Network) was, well into the 1990s, the world's most consistently watched private TV network. In 1998, TV Globo was still the fourth largest network in the world, regularly attracting 55 percent of the country's audience, and about 70 percent of the advertising revenue. However, with the growth of cable and satellite television, Globo started to experience a decline in ratings, dipping just under half of the audience for the first time in almost 30 years. As late as April 2002, Brazil's giant media organization was still one of the top five commercial television networks in the world, commanding an estimated daily viewership of 100 million people at prime time. Advertisers responded to this large number of viewers. In 1995, US$ 3.6 billion were spent in television advertising in Brazil, with an estimated half of that total ending up in TV Globo's coffers. The network thrived during the military regime (1964-1985), when it received special treatment and financial incentives from successive governments. The conglomerate both reflected and legitimated the authoritarian regime's ideology of "development and national security." TV Globo initially aimed its programming at the lower economic strata of the population, competing directly with then leader TV Tupi. By the end of the 1960s, Globo had succeeded in attracting a large audience, mostly in detriment of TV Tupi's audience. The rise of Globo in the popular preference coincided with the death of media mogul Assis Chateaubriand, which detonated a process of internal disputes and bad management that ended up by destroying TV Tupi, which went bankrupt in the 1970s. Television critics have characterized Rede Globo's role at gaining public support for the military regimes as subtler than mere propaganda. Some of them have noticed that the first military governments (1964 to 1974) pursued exclusionary policies that led them to rely on continued repression to maintain hegemony. The following period (1975 to 1985) marked a so-called transition from military to civilian rule. Legitimacy, then, had to be obtained more through the construction of cultural and ideological hegemony than through overt repression. TV Globo played a key role in both periods. In the first one, widely watched telenovelas worked to create a positive, happy and optimistic image of the country and its people, when the so-called Brazilian 'economic miracle' was emphasized to support the idea that "Esse é um país que vai pra frente" ("This is a country that moves forward," a popular government slogan of the time). In the second period, when loss of legitimacy due to economic recession led the military regimes to propose the alternative of transition to civilian rule, Rede Globo threw all the heavy weight of its news coverage to support indirect transition (a civilian president indirectly elected by an electoral college), as opposed to a president chosen by the popular vote. The main consequence of the tactic was a complete ignorance of the unprecedented popular demonstrations demanding diretas já (direct elections now). The second largest Brazilian network, Sistema Brasileiro de Televisão (SBT), was launched in August 1981. Owned by game show host Silvio Santos, SBT has nine local stations, including its national broadcasting center in São Paulo, and 76 affiliated stations throughout the country. The network's programming is a mix of game shows, sensational journalism, soap operas (in-house productions and Mexican imports) and popular comedy shows. SBT prides itself on being Brazil's second-largest network. The network's penetration is strongest in São Paulo. According to the Nielsen data furnished by SBT on its Internet home page, in 1997, the network had 30 percent of the advertising market share in São Paulo in 1995. Globo had 43 percent; Bandeirantes 11 percent; Manchete 10 percent; Record two percent and independent stations four percent. It is worth noting that the third largest Brazilian television network, TV Record, is owned by Igreja Universal do Reino de Deus (Universal Church of the Kingdom of God, UCKG), an evangelical, revivalist Christian church that emerged in 1977, and that has now become one of the fastest-growing religious groups in the country. In 1996, the UCKG owned TV Record and its 25 affiliates, besides 35 radio stations and two mass circulation newspapers. Its controversial leader, the self-appointed Bishop Edir Macedo, was investigated in the early 1990s for alleged links to a Colombian drug cartel, and has attracted the wrath of the all-powerful media mogul Roberto Marinho, who founded and, until the late-1990s, ran the Globo media empire. In the late 1990s, with its mix of sensationalism and crass programming, TV Record was seriously threatening the audience leadership of TV Globo in parts of the country. Brazilian media ratings firm Ibope estimated in August 2001 that 20 percent of Brazilians living in urban areas had Internet access. According to Ibope and NetRatings (the Internet arm of the Nielsen ratings corporation), those numbers had put Brazil ahead of countries such as Spain and France, in terms of Internet users. Comparatively, only 1.9 percent of Mexico's population was connected to the Internet in June 2001, according to the Organization for Economic Development & Cooperation. Widespread adoption of computers and the Internet by Brazilian consumers led the U.S. Yankee Group to predict that 42.3 million Brazilians will be surfing the Web by 2006. As happens in other developed or emerging countries, most Internet users report using it to search for news and information. In fact, out of the three most popular Brazilian Web portals— UOL.com.br , Globo.com.br , and iG.com.br —only the last one is not funded, sponsored or supported by a major news organization. News stories, however, play a very prominent part in the design and content of all of those sites. to keep up with current affairs back at home and for all other foreign users with social, economic and political interests in particular countries or regions. Journalism and mass media university programs became very popular in Brazil in the early 1980s. By the end of that decade, new university-trained journalists were fast replacing reporters and editors with no formal training in television and newspaper newsrooms across the country. In the early 1990s, an overwhelming majority of practicing journalists had undergone university training in mass communications. Up to the previous decade, most journalists had been recruited out of political science, law, Portuguese, and sociology courses. That change was partly due to the fact that in the 1980s, sindicatos dos jornalistas (journalists unions) pressured the federal government to recognize and accredit the profession. As a consequence, university programs strove to receive professional and government accreditation, and news organizations were pressured to hire more university-trained journalists. A national organization called Intercom (short for Sociedade Brasileira de Estudos Interdisciplinares da Comunicação), congregates journalism educators and students in the country, promoting research and education in the field of mass communication. Despite the country's inconsistent tradition as far as press freedom, Brazilian newspapers have developed throughout the 1980s and 1990s a keen sense of independence and social responsibility. As a result of that process, and of their newfound watchdog role, circulation and readership have been up, and Brazilian newspapers enter the twenty-first century with renewed hopes and high expectations. The Brazilian democracy and the country's economy have been stable for more than a decade, and newspapers seem to be taking full advantage of economic prosperity and institutional stability. Although readership is still low, if compared to most industrialized countries, the most popular dailies reach an ever increasing audience, with the top four papers maintaining a combined circulation of 1.4 million copies daily. Both the broadcasting industry and the Internet have experienced an astounding growth in the 1990s and early 2000s, which also bodes very well for the future of these emergent technologies in Brazil. 1992: Newspapers play a very important role in exposing corruption and irregularities that lead to the impeachment of President Fernando Collor. July 1997: Brazil enacts its new Telecommunications Code, which creates a new federal agency responsible for granting telecommunications licenses. August 2001: An estimated 20 percent of Brazilians living in urban areas have access to news and information on the Internet. April 2002: A bill proposing to open Brazilian mass media to foreign ownership is approved by the Chamber of Deputies and expected to be ratified by the Senate and the President. Brazil: A Country Study . Washington, D.C.: Library of Congress, 1998. "Brazil." Encyclopaedia Britannica Online . 2002. Available from www.britannica.com/ . "Brazil." Encyclopedia of the Third World . 4th ed., Vol. I. New York: Facts on File, 1992. "Brazil." The Europa World Year Book . Vol. I. London: Europa Publications, 2001. "Brazil." The World Almanac . New York: World Almanac Books, 2002. Brown, Robert U. (1997). "Latin Press Thriving." New York: Editor & Publisher, 1997. Camargo, Nelly, and Pinto, V. B. N. Communication Policies in Brazil . Paris: The Unesco Press, 1975. Census Data 2002 . Instituto Brasileiro de Geografia e Estatistica (IBGE). Available from www.ibge.gov.br/ . Federico, M. E. B. História da Comunicação: Rádio e TV no Brasil . Petrópolis, Brazil: Editora Vozes, 1982. Hoineff, Nelson. A Nova Televisão: Desmassificação e o Impasse das Grandes Redes . Rio de Janeiro, Brazil: Editora Dumará, 1996. "Ibope: 20% of Metropolitan Residents Have Internet Access." Business News Americas . 2001. "Internet Penetration Estimates Vary Widely." Business News Americas . 2001. Kottak, C. P. "Television's Impact on Values and Local Life in Brazil." Journal of Communication . 1991. Lei de Imprensa (Brazilian Press Code). Enacted on 9 February 1967. Lei Geral das Telecomunicaçães (Brazilian Telecommunications Code). Enacted on 16 July 1997. Levine, Robert M. "Elite Perceptions of the Povo." In Conniff, M., & McCann, F., Eds., Modern Brazil: Elites and Masses in Historical Perspective (pp. 209-224). Lincoln, NE: University of Nebraska Press, 1989. Mattos, S. The Impact of the 1964 Revolution on Brazilian Television . San Antonio, TX: V. Klingensmith Independent Publisher, 1982. "The Media Market." Advertising Age . Vol. 68, No. 2. 1997. Miranda, R., & Pereira, C. A. M. Televisão: O Nacional e o Popular na Cultura Brasileira . São Paulo, Brazil: Editora Brasiliense, 1983. Necchi, S. H. "Brazil: A Mogul's Muscle." Columbia Journalism Review . Vol. 28, No. 4. 1989. Oliveira, O. S. "Mass Media, Culture, and Communication in Brazil: The Heritage of Dependency." In G. Sussman, & J. A. Lent, Eds., Transnational Communications (pp. 200-213). London: Sage, 1991. Queiroz, A. TV de Papel: A Imprensa como Instrumento de Legitimação da Televisão . Piracicaba, Brazil: Editora Unimep, 1992. Reis, Raul. "The Impact of Television Viewing in the Brazilian Amazon." Human Organization, Journal of the Society for Applied Anthropology . Vol. 57, No. 3. 1998. ——. "What Prevents Cable TV from Taking off in Brazil?." Journal of Broadcasting & Electronic Media. Vol. 43, No. 3. 1999. Roett, Riordan. Brazil: Politics in a Patrimonial Society . Westport, CT: Praeger, 1992. Schneider, R. M. Brazil: Culture and Politics in a New Industrial Powerhouse . Boulder, CO: Westview Press, 1996. Serbin, Ken. "Brazilian Church Builds an International Empire." Christian Century . Vol. 113, No. 12. 1996. Sistema Brasileiro de Televisão (SBT). Available from www.sbt.com.br/ . Sodré, M. O Monopólio da Fala . Petrópolis, Brazil: Editora Vozes, 1977. Straubhaar, Joseph D. "Mass Communication and the Elites." In Conniff, M., & McCann, F., Eds., Modern Brazil: Elites and Masses in Historical Perspective (pp. 225-245). Lincoln, NE: University of Nebraska Press, 1989. Thomas, G. "Closely Watched TV." Censorship Brazil . Oxford, UK: Oxford University Press, 1979. Tunstall, J. The Media Are American . New York: Columbia University Press, 1977. Wentzel, Laurel. "Rede Globo Dominates Brazil's TV Prime Time, Ad Revenues." Advertising Age . Vol. 69, No. 39. 1998. 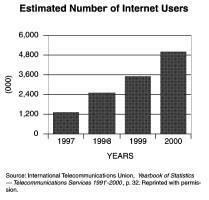 "Yankee Predicts 42 million Internet Users in 2006." South American Business Information (07/11/2001). I would like to know the author, year, that published this article. The full reference, please. I'm a eighth grader student looking for information about media in Brazil . My teacher said you would be to help us by answering some questions about the media in Brazil during the 1960's to the 1990's. We gave included the questions below. How has the television change Brazil economy, and education? When did satellite became popoular in Brazil? Where was the first town or region that had TV signal in Brazil? What was the reaction of the people when they knew they will have a TV channel ? How many channels does the TV has when people didn't have enough money to have cable in Brazil? Do you remember early television shows in Brazil? How long did it take for televisions to become popolar in Brazil? Do you know the percentage of the population that owned a television? What were the early televisions programs like ? Where they influenced or controlled by the government? How the regime did censor all media , tortured and banished dissidents? How do the literacy rates of the citizens affect the media in Brazil? For example do more peolple watch the news for information or do they read the newspaper? To what degree does television influence the populationof Brazil? Have you seen a difference in television programming since the early years of tv? Is there still government monitoring? What would you say are the major differences? Do you know of any know reforms regarding television in Brazil ? Raul Reis (2003). 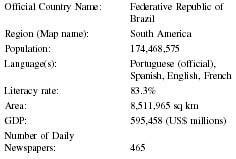 "Brazil", in World Press Encyclopedia: A Survey of Press Systems Worldwide, 2nd edition. Gale Group, 2003.